Driving up to LetsXcape, you can’t help but be impressed by their venue. As someone who’s been down countless dodgy backstreets and spent far too much time visiting basements, it was a refreshing change to find myself driving up to a stately home. Even on a fairly miserable day, it looked beautiful. Inside, it’s just as grand, and it started to dawn on me that this really, really wasn’t the right location for a game called The Rig that was surely an industrial, grimy experience and not the refined game you might expect within these walls. After donning our hard hats to enter the space (warning: they’re not just for show – they genuinely help at times! ), it became apparent that the game’s title wasn’t a case of misdirection. They really have created a room inside a historic building that’s based around drilling for oil. That may seem an odd choice, but it’s based on a true story – they did drill for oil in this area during the war, and the game revolves around that tale. They don’t go into it in depth, and you can easily ignore it if you’re not interested but, personally, I found that the local connection, together with a story that was both unexpected and interesting, added to the experience. As soon as the wood-panelled door opened, it was clear that this was absolutely going to live up to its industrial billing. It reminded me of Kanyu Escape’s Lightning in a Bottle game, and with good reason: the same set designer was involved in both experiences. It’s a beautifully constructed set that has an impressive centrepiece but is also nicely understated at times. Rather than just scattering a few props through the space, they’ve created the scene from the ground up so that it feels like a coherent experience – the props, the backdrop and the puzzles all add to that sense of immersion. Something else that helped with immersion was the physicality of the experience. You don’t need to exert much muscle power, but you will have to physically interact with the game on several occasions in a variety of ways. In a game that’s all about drilling for oil, that felt like a good decision. The non-physical puzzles varied in quality a bit more, with a couple feeling a little tropey, but there’s nothing here that felt illogical – we got through the game without taking a hint, and I didn’t feel that we were particularly lucky. Good games finish well, and The Rig is a great example of that. Your goal is clear from almost the moment you walk into the game, and so there was no doubt in our minds when we got to that satisfyingly physical moment that we’d beaten the game and shut the rig down. 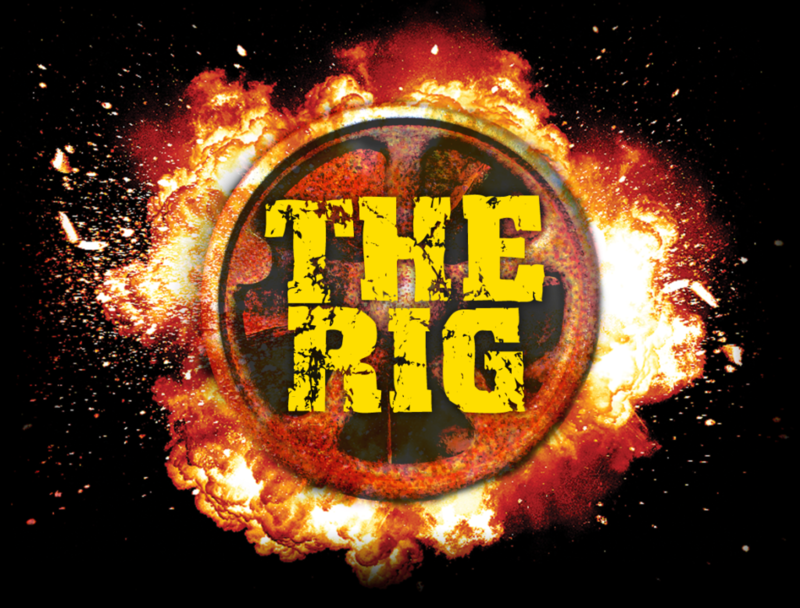 The Rig managed to draw history from the surrounding area, create a beautiful, industrial set and deliver challenges that captured the physicality that a story about oil drilling needed. This isn’t a game in which any one thing is amazing, but there is more than enough here to impress and very little where it went wrong. We played as a pair and got out somewhere around the 46-minute mark without clues. I’d happily recommend it to a group of two or three enthusiasts although, beyond that, I think you may find yourselves a bit too crowded at a couple of points.